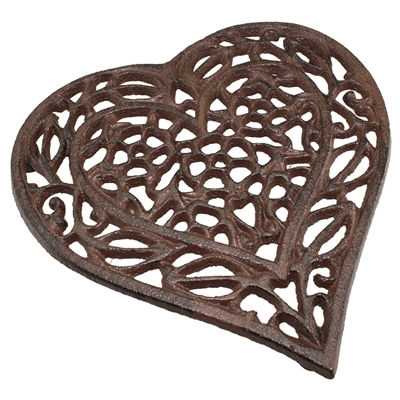 Antiqued brown metal heart trivet. 6pc Minimum. Must order in increment of 6,12,18 etc..